Although the rental market is highly competitive, it is still possible to find that ideal home if the search is carried out in a thorough, well-informed and realistic manner. By being realistic, some compromises may be necessary, but you should not settle for a property which is barely acceptable as you will need to live there for many months, if not years. Start by knowing what features are the most important to you. Before booking viewings, set in place key 'criteria' as well as areas for compromise. Knowing which things you are willing to be flexible on will aid the decision-making process and help you select properties to suit your specific needs. You should not feel pressured into accepting a property that does not fit your standards and must-have criteria. However, with the best properties often being let quickly, it is important to be able to make a swift and informed decision: Quick decisions are different to rushed decisions, which tend to be regretted later. If you are moving to a new part of town, check out the location on foot as well as driving around to get a real feel for the area. 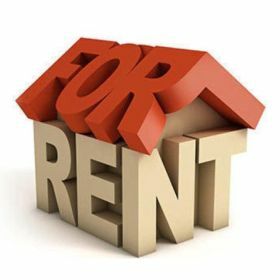 It is also a good idea to conduct online research into average rents for the area early on as this will enable you to build up a picture of likely prices and adjust your expectations or budget accordingly. Remember online prices may not be the actual rental prices paid, but in most cases they will be a good indication of the rental prices most properties achieve. The Lettings industry in the UK is unregulated. This means anyone can set up as a Letting Agent or Landlord, so look for Letting Agents who have the relevant professional affiliation, ideally members of the ARLA or National Approved Lettings Scheme (NALS) and The Property Ombudsman Scheme who all adhere to a strict code of conduct. The same property may be advertised and marketed by several Letting Agents at the same time, so check the prices and details carefully. As soon as your offer is accepted you will be expected to pay a holding deposit and complete a reference form, if you wish to proceed with the rental. Ascertain what is covered in your rental price and any responsibilities you will be expected to undertake. For example, is the garden maintained by you or the landlord? If there is a house alarm, who will be responsible for the cost of the maintenance? Who is the Managing Agent for the property when you have on-going maintenance issues? Once your tenancy has commenced you will have signed your tenancy agreement and you will also be provided with an Inventory detailing the condition of the property, this is an important document so please check it carefully. Premier Property Search has been securing rental properties for clients for many years. We are experienced at both finding and negotiating rental properties for those that would like professional help, whether moving from other parts of the UK or from overseas and we would be happy to help you secure the right rental property. If you are looking to purchase or rent a new property in the coming months and need help in searching, finding and negotiating the right price for your new home please do contact us on +44 (0) 1962 793100 or email: enquiries@premier-propertysearch.co.uk.